Jason + Katie are truly a match made in heaven! They compliment each other perfectly! He can get her to laugh so easily and she is the shining light in his eye. 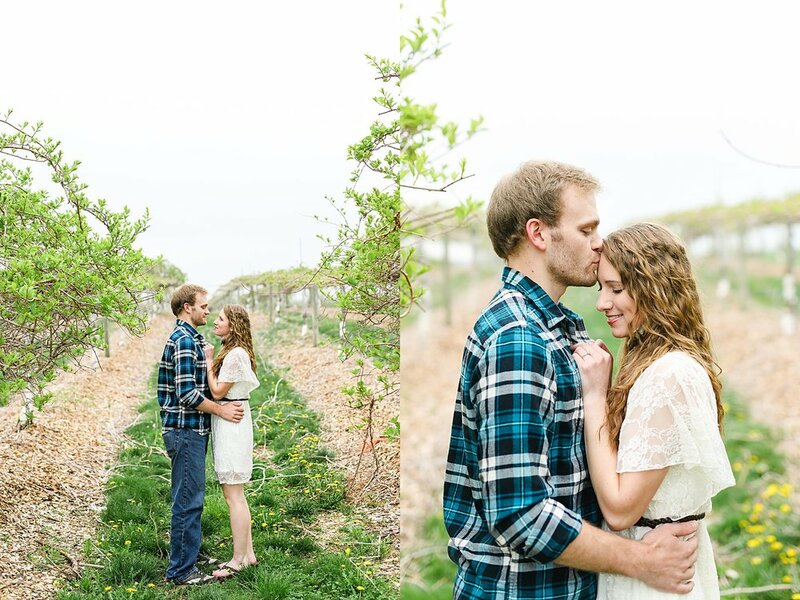 We had the best time capturing their love as we adventured around the blooming Orchard. A short season on blossoms for sure but that was perfectly timed for their engagement session. And even though it threatened a little rain drops in the beginning it didn't dampen any moods. Their wedding is going to be a wonderful woodland theme nestled in a retreat center! Cant Wait!